Changabang stands on the perimeter of the Nanda Devi Sanctuary and in 1974 was unclimbed. 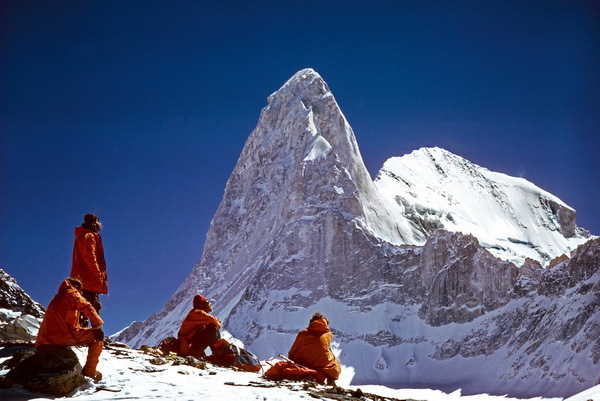 The peak tantalised mountaineers for years but access was restricted throughout the sixties. It was an obvious challenge once the restrictions were eased. 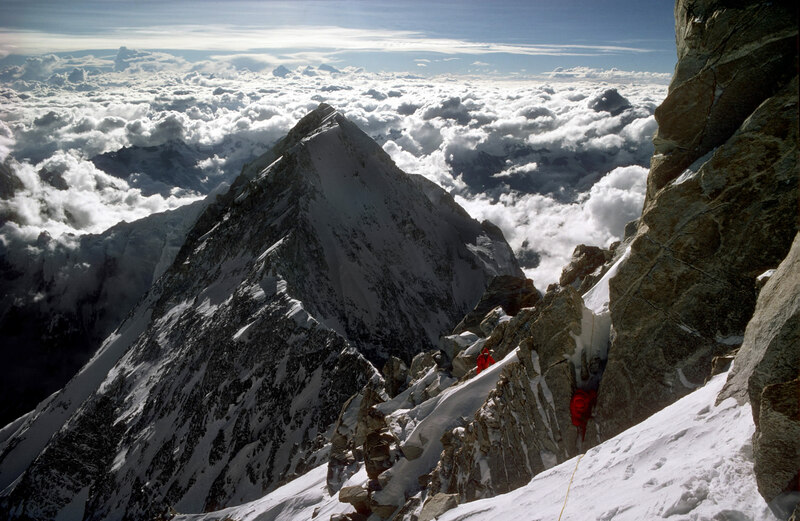 The best line for the first ascent of an unclimbed peak is not always obvious in advance. The expedition members which included Chris Bonington, Dougal Haston Alan Hankinson and myself, eventually climbed over the Shipton Col and then up the snowy South Face.